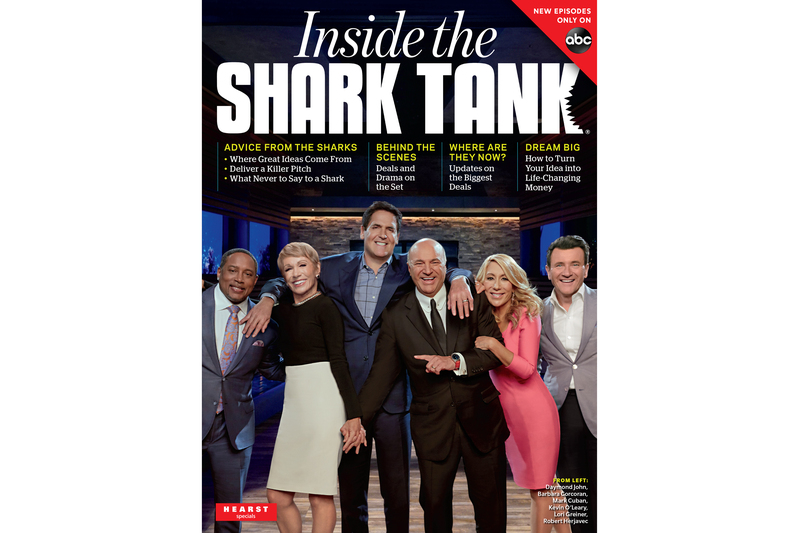 The first-ever bookazine from Shark Tank, the critically-acclaimed and multi-Emmy Award-winning reality show that reinvigorated entrepreneurship, is published to coincide with the show's tenth-anniversary season on ABC. INSIDE THE SHARK TANK is about achieving the American Dream and inspiring everyday people to create a business that could potentially lead to a life-changing career. In exclusive interviews, each Shark reveals their favorite moments, best deals, and the ones who got away. Plus, you'll learn their advice about business, life, and what to do when you (finally) get into the Tank—or any other high-stakes boardroom where everything is on the line. INSIDE THE SHARK TANK is both a look back at the past 10 seasons and an insider's look behind the scenes. This is an unprecedented collection of worldly advice and street-smart savviness from six extraordinary people: Mark Cuban, Barbara Corcoran, Lori Greiner, Robert Herjavec, Daymond John, and "Mr. Wonderful" himself, Kevin O'Leary. It also includes special interviews with guest Sharks Rohan Oza, Alex Rodriguez, Jamie Siminoff, and Alli Webb. You can purchase this special bookazine here!